Take the tour with me for only 2.99! Paperback on Amazon, B & N, and IndieBound for 14.99! Hardback on Amazon, B & N, and IndieBound for 19.99! Enjoy the culture in Spanish for only 2.99! Paperback on Amazon and B & N, and IndieBound for 14.99! Hardback on Amazon and B & N, and IndieBound for 19.99! See Dragon Ball with new eyes! This book is your cultural tour guide to the world’s most recognized anime and manga series. 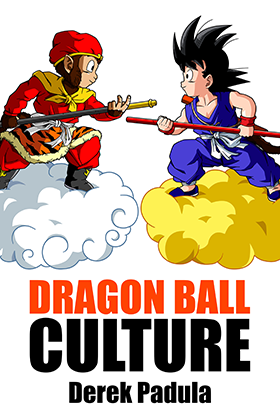 Over 12 years in development, Dragon Ball Culture is a 7 Volume analysis of your favorite series. The world’s most epic analysis of the world’s most epic anime and manga. How does Akira Toriyama get his big break and become a manga author? Why does he make Dragon Ball? Where does Dragon Ball’s culture come from? And why is it so successful? Volume 1 has over 200 pages, over 400 unique terms, and an insane degree of detail. This book will forever change how you see your favorite series.